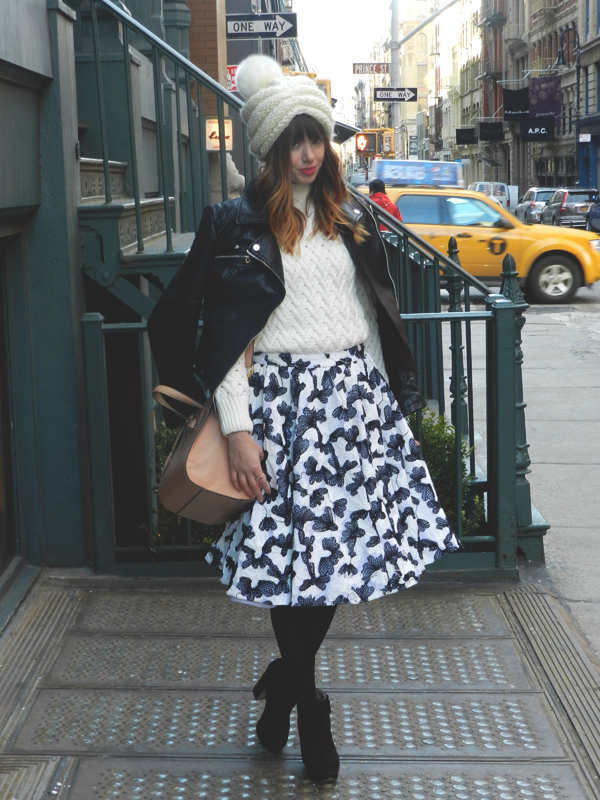 I've been dying to wear my Alice + Olivia full skirt since I bought it at her most recent sample sale. I actually have just been saving this one just for fashion week. I didn't care what the weather was going to be like I was going to make it work! And make it work I did! I ran all over the city on Saturday in this skirt. From Fashion Shows to the Marc Jacobs Pop-up shop to the Lulu*s Event. Everywhere I went I got compliments on it. It's one of my favorite pieces in my closet right now that'll need to be worn a lot more often. Any pieces in your closet that you are waiting to wear for a special occasion? 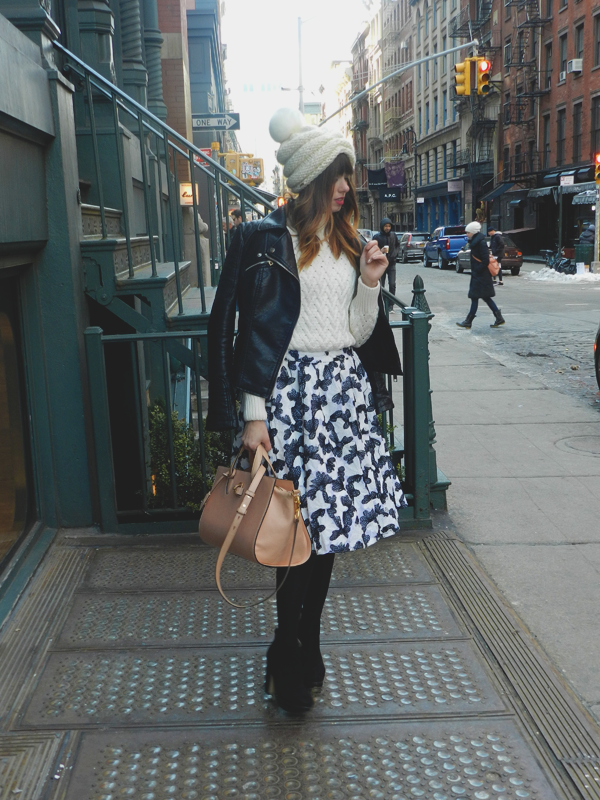 ohhh that skirt is definitely worthy of NY Fashion Week! I love how it looks paired with the leather jacket and that fun pompom hat. it's so playful! and i have this beaded shift dress from French Connection i wear sparingly- i'm so scared the beading will fall off- eek! Beautiful! that skirt is great. Oh wow, this may be one of my favourite looks ever of yours! Everything is so perfect & I can see why you were saving that skirt, it's such a beauty & a real wow piece. I bet it had everyone talking! Also, love that beanie!